Small ear studs made from Sterling silver with freshwater pearl. 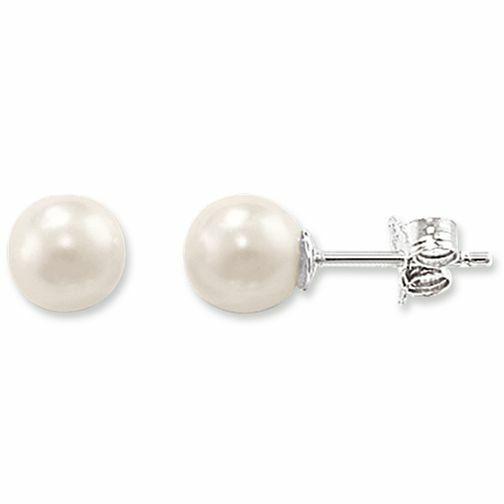 Thomas Sabo Sterling Silver Pearl Studs is rated 3.8 out of 5 by 5. Rated 4 out of 5 by Anonymous from Was bought as a gift Was bought as a present for friend but arrived quick and product looked good. Rated 4 out of 5 by Anonymous from Great quality, attractive day to day pearls Great pearl earrings to wear on a day to day basis, nicely packaged. Smallest size available, although can imagine that for some the studs are still too big.